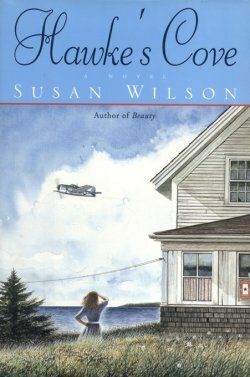 In the tradition of Kristin Hannah and Luanne Rice, Susan Wilson creates a poignant, absorbing novel of first love lost and found again, of family and friendship, and of secrets and ghosts laid to rest. 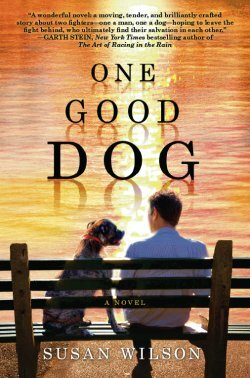 After nearly twenty years, Kiley Harris has returned to the small New England town of Hawke's Cove. 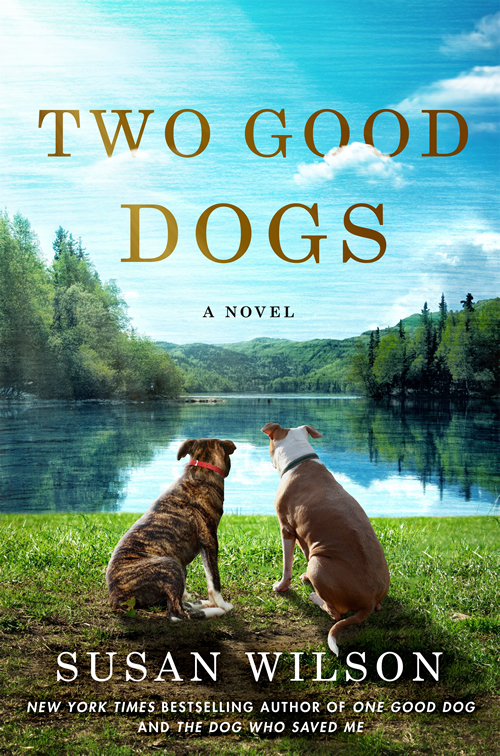 As a child, Kiley eagerly anticipated every summer spent at the old family beach house, where she'd be reunited with her two best friends, Grainger Egan and Mack MacKenzie. For years, they were an unshakable trio: sailing and swimming every day, playing cards on the porch at night, and sharing their dreams. But everything changed the summer after their high school graduations, when the boys' friendship turned to rivalry over Kiley -- with tragic results. For nearly two decades, Kiley has been in self-imposed exile from the place she loved so much. But now her parents have asked her to ready the old beach house for sale, to finance her son Will's college education. Losing the family house will mean losing Hawke's Cove forever -- so Kiley brings Will along to give him this connection to the past he's long wished for. Yet she also fears that in Hawke's Cove, Will inevitably will meet Grainger -- who might, unknowingly, be Will's father. And Kiley doesn't know if this is disastrous timing...or the gift of a second chance. Rich in the complexities of love, insightful in the mysteries of the heart, and generous in the forgiveness of human frailties, Summer Harbor is a moving exploration of the pains of the past, uncertainties of the present, and hopes for the future. 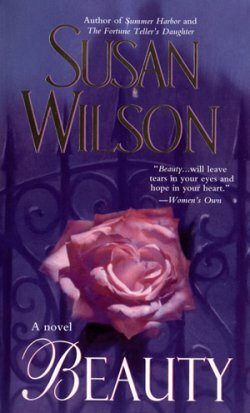 Well versed in the art of writing emotionally inspiring tales, Wilson proves that decades old secrets are never forgotten, just hidden. 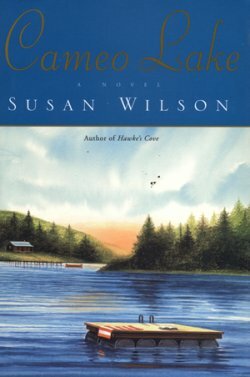 Kiley Harris returns to Hawke�s Cove after nearly 20 years when her parents decide to sell their summer home to pay for her son Will�s college education. Kiley and Will agree to spend time in Hawke�s Cove readying the home for sale. Staying in his mother�s old room, Will finds pictures of Kiley�s summers at the Cove, shared with friends Grainger Egan and Mack MacKenzie. 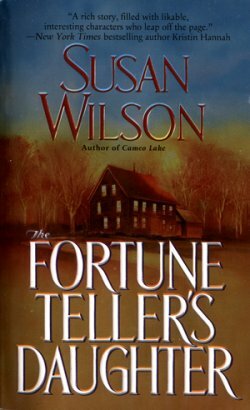 As Will pries the truth about his mother�s past from Grainger, flashbacks reveal the terrible argument between the three friends that ended with tragedy. While Kiley and Grainger attempt to maintain a stilted friendship to heal past wounds and focus on Will, they must decide whether to explore their present attraction devoid of past traumas. The undercurrent of romance will draw readers into this dramatically written novel, as past misunderstandings threaten to destroy any chance for future happiness. 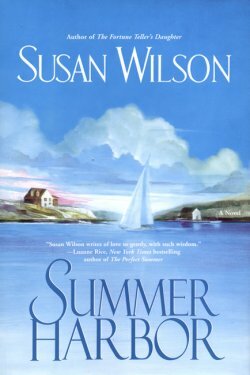 Susan Wilson revisits Hawke�s Cove in a tale of youthful mistakes and the consequences on the lives that follow them. 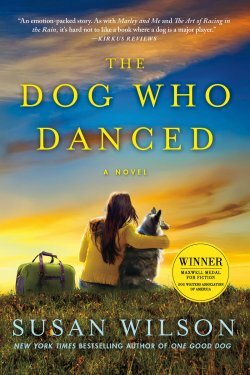 Kiley Harris spent her childhood summers in Hawke�s Cove with her parents and her inseparable best friends, Mack and Grainger. Her love to each of them became physical, and in a night of horror, her idyllic bond with the two of them was shattered. She soon found out that she was carrying a child and never went back to Hawke�s Cove again. Nor did she ever try to find out which man had fathered her son, Will. Her son is now eighteen, and circumstances are forcing her to face her past. Her parents are ill andwish to sell the summer house. They need her to get the house ready for sale. She drags her feet all the way, but Will sees this as a way to find out who his father is, and it is he who initiates the contact with Grainger, who has returned to Hawke�s Cove to live. This tale is a masterful, delicate trading ofpoints of view�Kiley�s, Grainger�s, and Will�s. Present and past intertwine as the summer of Will�s conception serves as counterpoint to current events. This is a beautiful and bittersweet triumph of storytelling. While it is not necessary to read the previous Hawke�s Cove book to follow this one, once you finish it you will want to do so. At the foot of the porch steps, the metal For Sale sign clattered in the breeze off the water. A discreet sign, with letters overarching a stylized lighthouse, all done in blue and white, advertising the local agency that handled important real estate: "Seacoast Properties, Ltd."
"Limited to what?" Will asked. "Limited to the wealthy," his mother, Kiley, replied. "Only in the old days of yacht club cotillions and madras shorts. Today's wealthy, the ones who survived the downturn, put Pop's money in the chump change category." "Chump enough to send me to Cornell." "This house is sending you to Cornell." Kiley immediately regretted her involuntary sharpness. But the impact of seeing the house, so eerily unchanged from her memory of it, was like grit against polished wood. She bent over to snag a piece of litter tangled in a Rosa rugosa bush. Nowadays, the owners of these shingle-style summerhouses had landscape architects swarming over the small yards to plant "native" plantings and develop cottage gardens. Her father had stuck in a hedge of old-fashioned privet, a couple of spiky yuccas, a scattering of lace-cap hydrangeas, Rosa rugosa bordering the cement path to the front door, and let the yellowish grass do as it pleased. "This is a summer place. If I wanted a fussy garden, I'd stay home in Southton." It would probably be a selling point -- not much to tear up, and the Rosa rugosas were native. It was frustrating, how every little action prompted a memory. Even the key in her hand prompted a vivid memory of it hanging on the hook by the back door, the seashell key chain exactly as memory served. In her eighteen-year moratorium from Hawke's Cove, the house had remained inviolate in her thoughts, pristine and untouchable, and being here verified those chosen memories. Kiley had never forbidden herself memory. Sometimes, in the early morning hours when the infant Will suckled on her breast, refusing to go back to sleep, or when an old Don Henley song on the radio so clearly brought back the feel of sand beneath her feet, Kiley relished the companionship of her two friends, even though only in selective memory. It was out of a great need to keep this place and the good memories in the vault of sanctity that she had refused to come back. Nothing remains the same once reality has overridden the imaginary. How could she keep the cherished youth of summers in Hawke's Cove separate from the tragic end to those days if she set foot again where it had all happened? Her parents' decision to sell the Hawke's Cove house came as a mild shock. Her grandfather had purchased it for a song in 1933, and it had been the summer focal point of the Harris family ever since. Kiley had paid little heed to her parents' frequent conversations about the place's disposition, assuming that ultimately it would come to her. The idea of selling it out of the family hurt her in a place she had long kept apart from her adult self. Intellectually, she knew that maintaining the place was beyond her parents now, as her mother lost skirmish after skirmish with brittle bones and her father struggled against the emphysema slowly choking him. Childishly, she had hoped that her parents would neglect to really do anything about the house, despite all their talk, and that, at some magical and undefined point, she would find herself suddenly able to go back to it. When her parents abruptly announced that they had decided to sell the house to fund Will's education, Kiley felt the irony acutely. By his very existence, Will had cost her Hawke's Cove. Now Hawke's Cove would pay for his absence. Until her parents offered to pay for Cornell, Kiley had expected that Will would go to a state college closer to home, where she could afford his tuition. The sheer distance between Southton, Massachusetts, and upstate New York made Kiley weak, knowing she'd see her son only rarely once he left for school in the fall. Always at the junction of feeling unbearably proud that he had been accepted at Cornell, and unbearably sad about letting him go, Kiley buried her feelings in busyness. She regularly went over Will's ever-growing list of items to take with him, focused on the minutiae of preparing for college, and mentally pushed away the distant day in September when he would leave her behind. Maybe it was easier for parents who had spouses and other children. But Will, he was her world. Then her parents said they wanted her to go and inventory the place, to ready it for sale. She had no intention of breaking her moratorium against being in Hawke's Cove with the task. "Mother, why don't you just have the agency hire someone to pack it up, or, better yet, sell it with the contents?" "Kiley, I will not have strangers stealing from me." Lydia Bowman Harris, now in her seventies, was obsessive about theft. Their Southton home had all kinds of burglar deterrents, which, on average, were accidentally set off once a week by her father's slow motion in getting to the right buttons to disarm a device. It was kind of a family joke. "I can't just up and take off for Hawke's Cove. I don't know when I can get free, and certainly not for long enough to get the job done." "Yes, and I was thinking about going to Cameo Lake with Will. It's our last -- "
Her father stood up, then took a moment to pull in sufficient breath to add weight to his words. "Kiley, we buried the past, got on with our lives. There's nothing there which is going to change anything, or revive anything, or matter much anymore. We need you to do this for us. We don't ask much of you, but this, we're asking." Merriwell Harris walked with slow dignity out of the parlor. "Don't mind him, Kiley." Lydia Harris waved a still-elegant hand in the air in dismissal of her husband's remarks. "He's not happy about having to give up the place. It was in his family for seventy years." "Why should we hang on to the place when there's no one to use it? You won't go." "Mother, you know the memories would choke me." "Kiley Anne Harris, for eighteen years you've done well, made a good life for you and the boy. I know we were uncompromising in the beginning, but what's done is done. I don't think that any of us would wish things had been different." Meaning that Will had not been born. "No. Of course not. But, I can only keep focused on the good things if I can keep the past out of sight." "It was your own doing. Until you face that, you'll never grow up." Lydia's sharpness only served to keep Kiley's back up. No, she would not cross that little bridge over the wetlands that separated Hawke's Cove from Great Harbor. In some ways, she was the opposite of that old guy who took tickets at the theater when she and the boys were kids. Joe Green, it was said, could not leave Hawke's Cove, even to bring home his own boy's body for burial. They said it had cost him his wife. She, on the other hand, couldn't return. As long as Kiley remained on this side of the bridge, she could choose idealized memories that were harmless. At night sometimes, she would wake from dreams of water. Complicated dreams that left her sad. For a short while Kiley had gone to a counselor, a recommendation from a nursing school classmate. All the counselor could tell her was that she needed to get a hobby, that she was too concerned with serious matters. She hadn't told him anything of the past, only of her present: school, working full-time, raising a toddler single-handedly. The rift with her parents over Will's existence. "You need a break, Kiley. Find some time for yourself. Go to the shore." Kiley stopped seeing him after that. The dreams were cyclical, and her journal noted that they most often appeared when, not she, but Will faced a life change. When he was being toilet trained, or trying out for youth soccer; when she went out with someone for more than two consecutive dates. Even as he entered high school. Periods when she worried more about him. About how she was raising him. In her dreams Kiley never saw Mack or Grainger, but the constant of water in these dreams always made her feel that she'd been with them there. In Hawke's Cove, surrounded on three sides by the sea, providing years of summers together on the beach and in the water. The sailboat that they lovingly made seaworthy. And, of course, the insoluble association of water and the way things had ended between them. Despite her parents' pressure, Kiley believed nothing could induce her to abandon her eighteen-year prohibition against going back to Hawke's Cove. It was her self-punishment. She would forever deny herself the thing she most wanted, in the belief that she deserved no less. And that belief had held up, until Will and two of his pals got caught with marijuana. The second-most-dreaded phone call in a parent's life. "Come down to the station." Kiley felt detached, as if she did this every day of her life. She brushed her teeth and combed her hair, then pulled on a clean sweatshirt over her pajama top and sweatpants over the bottoms, though normally she'd never go out in such an outfit this seemed all right under these circumstances. No one would know her. She found her car keys, and remembered to set the house alarm, then drove the few miles to the police station slowly, the radio off, as if music would be inappropriate. All the way there, she spoke aloud to herself, trying to anchor herself with the sound of her own voice. "At least he's not dead." She couldn't pinpoint her emotions. Part relief it wasn't worse, part anger. Certainly shame would emerge, the hunt for a one-line acknowledgment of parental mortification to hand to those who would casually ask about the situation later, their curiosity masked as concern. D�j� vu. So clearly, Kiley remembered the raised eyebrows as she appeared in the market with her blooming belly. The "How are you feeling, dear?" code for "What a shame, the Harris girl knocked up, and no father." In their moderately well-to-do town, there was a certain parental expectation that this might happen. Perhaps this was an initiation rite. "Come join those of us whose children have destroyed our credibility. You bring the coffee, and we can share our disappointments." A twelve-step program for failed parents. Hadn't she played with him, taken him sledding and to miniature golf? Hadn't she made him sit at the table to do his homework even when he'd preferred to do it slouched across his bed? Hadn't she learned to cook and made him dinner every single night of his life? But she had left him in the care of baby-sitters while she pursued her certification as a physician's assistant. She had declined membership in the PTA because she didn't have time in the evening to go to meetings that weren't part of her education. Suddenly Kiley couldn't remember laughing with him. The parking lot was empty of civilian cars, the station house door wide open in the late June night. Kiley rested her forehead on the steering wheel, her thoughts swirling. She took a deep breath and drew deeply on her professional reserve, the armor of unflappability she wore at work to assure everyone she was in charge. Will was exceedingly lucky not to have had the stuff on his person, and that the arresting officer had chosen to charge only one of the three boys, but that was almost no consolation. Will's action -- whether the first and only time, as he claimed, or one of many never discovered -- meant that somewhere, somehow, she'd deluded herself into thinking she'd successfully raised this boy by herself. That all the long talks they'd had, all the rules she'd imposed, were laughable. In one night, he had proved that she was not the paragon of single motherhood she had occasionally thought herself, now that he was about to be launched into independent adulthood. His action had belied the thrill of watching him graduate sixth in his class, and served up a big portion of humility. What had seemed, nineteen years ago, to be the hardest decision she would ever face had paled in comparison to the daily diet of hard decisions necessary to rear this child she had chosen to bear and keep. Even now, those interminable nights of wakeful debate while lying in her dorm room bed could startle her with a clarity of memory. As if those circling thoughts had been physical, as physical as Will's first kick in utero or the labor pains of his birth. Those pains she had forgotten -- not so, the pain of struggling to tell her parents that she was, at eighteen and almost through her first semester of Smith College, pregnant. She deliberately told them after the sixteen-week mark; deliberately and resolutely never told them who had fathered the child. The drive home from the police station with Will, deep in the predawn darkness, theirs the only car on the winding country route, was in a silence so extraordinary Kiley felt as if she could touch it. Will stared out the passenger window, as if unable to even look in the same direction as his mother. His form filled the small space with coltish length, accentuated by his baggy jeans. There was so much Kiley wanted to say. You could lose your place at Cornell, you are risking your life, what in God's name were you thinking? But she was afraid that she would be unable to stop once she got started, and the last thing she wanted was to become the shrieking banshee of his expectations. Often enough, he'd accused her of "screaming" at him when she had reprimanded him in a deliberately level voice. This time, the potential for her voice to rise into a penetrating howl was so strong she would not let herself even speak. Silence seemed the better alternative and, in the end, she simply told Will to go to bed. They'd talk in the morning. In bed, Kiley watched the darkness with open eyes, unable to sleep. Eventually, finally, a trace of gray appeared beneath the edge of her shade. In that first notion of dawn, her bedroom door opened and Will stepped in. She heard his snuffling and sat up. 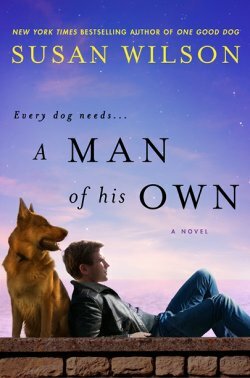 At once, her big, bright, and independent boy was in her arms, crying out his shame and regret and pleading for her forgiveness. She rocked him, resting his head on her shoulder, and wondering how he could feel so much like the little boy who once cried with the same heartsick intensity when he'd broken her favorite antique vase. The last few months had been a tug of war between them, as never before. His natural demand for independence and her equally natural desire to remain part of his life had warred mightily. Was she powerless to keep him from repeating his mistake? Despite his tears and apologies, how could she really trust him not to do the same thing if peer pressure and opportunity offered? Kiley was shocked at how damaged her trust in him was. In her predawn imagination she'd seen him selling his blood to support his habit, then closed her eyes against the image. It was only pot, and only once. Or so he said. The fact she doubted him pained her, and Kiley knew that this loss of trust between them might only be healed by separating Will from the source of his temptation, in particular, those friends of his. They weren't kids she'd known since Will had been in grade school. These were kids from one of the other towns that made up the regional school district. She barely knew their names, much less who their parents were or how much supervision they got. What Will needed was a safe place. They both needed an interim resting place where they could mend this rent in the fabric of their relationship, before he was launched on his final lap to adulthood. Hawke's Cove had always been her place of refuge. When schoolwork or arguments with her parents or spats with girlfriends made Southton oppressive, she would think of Hawke's Cove, of the predictable routine of beach and reading on the porch, or the scent of damp air and hot sand. The peace that comes with being in the place you are the most happy. The fellowship of Mack and Grainger. An early sparrow began to cheep outside the bedroom window, a distant reply. More than any other place in the world, Hawke's Cove represented sanctuary. Her middle-of-the-night thoughts about Will tormented her; could time in Hawke's Cove serve to repair the damage done to her trust? Just letting herself think about being there comforted Kiley. Not for any other reason could she imagine returning, not because her parents wanted her to, or even for herself, but for Will's sake. "Will, I think maybe that we should go to Hawke's Cove." Will sat up and pulled away from her, his eyes glittering with spent tears in the strengthening light of day. "I thought you wouldn't go." "I don't want to, but I think that we need the distraction." Will pulled away from her arms, a rapid, flat-palmed rub of his eyes wiping away the small boy who'd just been there. His jaw flexed. "You know I won't do it again; I promise. Swear to God." Kiley took the corner of the sheet and wiped her own tears. "So you're promising to keep away from D.C. and Mike? All summer?" There was exactly enough hesitation in Will's answer. "It wasn't their fault. I mean, it was my choice, I did it. No one put a gun to my head." "No. I just smoked it." "If I take the car away from you, you can't work. You're too old to ground, and I don't want to spend the last summer we're together worrying every night that, deliberately or not, you're in the wrong company." Kiley looked away from him to the yellowing light bordering the drawn shade as if she could read her answer written there. Over the years, parenting had taught her to temper her words. She knew that harsh words, even justifiably provoked, could be soul-breaking to young ears. Reprimands were always based on anger at behavior, not at him. Never ad hominem, always a little retractable. Until this minute, when there were no words for how betrayed she felt. He had done the one thing they had discussed and agreed on time and again. If he could fail her so easily in this, would mere words repair the damage? Talk, as her mother often said, is cheap. "No, Will. Frankly, I don't." Will stood up and gathered his dignity around him. "I really am sorry, Mom. I know that I screwed up. It was a mistake in judgment, but, whether you believe me or not, it won't happen again. It was stupid." Echoes of her own words nineteen years before. I can't tell you. She understood that there were times when it was enough to admit error, if not the reason. "I understand why you might not believe me when I say I won't ever do it again, but taking me away won't give me the chance to show you that you can trust me." Will's voice had taken on his most reasonable tone, the voice he used to convince her to give him permission to do something against her better judgment. Like letting him attend that unchaperoned party at Lori's. "Going away will give us both a little distance from this incident, Will. We need that." Kiley hoped he didn't see that she was convincing herself with her words. "So, if we go, how long do we stay?" Will's tone verged on curious as he capitulated. "I'm not sure. A couple of weeks, three maybe." Kiley threw back the bedclothes and sat on the edge of the bed. Sleep was out of the question. "I have a month coming to me, and July is a good time to go. The doctor is taking his vacation then, so things will be slow at the office." Kiley found her slippers and pulled on her housecoat. "Let's have breakfast." Will shook his head. "Not for me. I'm going back to bed." "We aren't done talking about this, you know." Will stood in the doorway and shrugged a silent "Whatever" of youthful sangfroid. Instantly, Kiley knew that she'd made the right decision. He thought that his tears and apologies were enough. In that still childlike, solipsistic world Will inhabited, he believed that he had smoothed things over. That she was his mother, therefore, she must forgive him. Kiley remembered how that felt. If only tears and remorse could smooth away the mistakes of youth. This indiscretion would not affect the rest of his life in quite the way hers had, but neither would it go away. "Tell me something." Will remained in the doorway, his hands pressed against the doorjamb. Kiley pulled the belt of her housecoat around her waist. "What?" "What is it about Hawke's Cove that scares you so much?" "Like my father?" A last arrow fired. Kiley knotted the belt, not looking up at Will. "Your father was the love of my life." That was all she would ever say. Will's father was someone who was kind, and handsome, and clever, whom she loved, and was now gone. The truth was, she didn't know who his father was. Long ago she had loved two boys equally, only to find that that wasn't possible. In love, there can never be three. The uncanny part was that every now and then Will betrayed some characteristic of one, and then of the other, as if the two had joined together to create this child; as if her love had somehow caused the impossible to happen, and Will was part of all three of them. The old summerhouse was so like she remembered it that for an instant, upon opening the double front door, Kiley half expected Mortie the cocker spaniel to greet her. 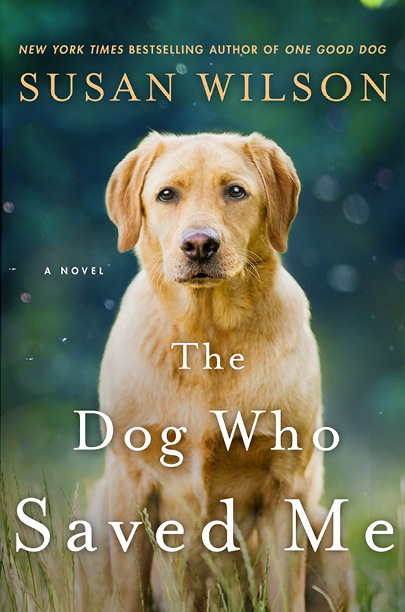 Mortie had been her dog as a child, his fur a golden tan color that faded as he aged. He'd peacefully died in his sleep right there in the corner beside the hearth in the summer of her seventeenth year. Kiley glanced at the corner, half surprised that there was no dog bed still there. Stifling the temptation to tour the house as a memory museum, Kiley called to Will to start unloading the suitcases from the car. Kiley's parents hadn't been back to the place since her mother's first fall. A shattered hip and the diagnosis of advanced osteoporosis had ended their summer pilgrimages to Hawke's Cove, despite the encouragement of Lydia's physical therapist to keep doing what she had always done. Any thought of going was further compromised as Merriwell's lungs began to lose their battle against his lifetime of smoking. So, the Harris house had stood empty last summer, for the first time in nearly seventy summers. No Harris had lounged on the front porch, morning coffee in hand, surveying the magnificent seascape that, no matter how often it was viewed, never failed to amaze. A three-generation continuum had been broken, in part by Kiley's refusal to come back. Now there was Will, the fourth generation at Hawke's Cove, standing on the broad verandah...staring across the short front yard and narrow road to the intense blue of the summer ocean below the bluff. His ball cap was twisted around backward, his baggy jeans exposed his boxers, and his face was glowing with that first view of the cove that lent its name to the town. Will hitched up his jeans and turned to face her. "No one ever said it was this beautiful." "It's even more beautiful during storms. The sea becomes this gray green color, and the whitecaps are like cream. You can't see across to Great Harbor because the sky and the sea become the same color. When I was a girl, we'd sit out here to watch the storms come and go, like our own private show." She let Will imagine she meant herself and her parents. But it was Mack and Grainger with whom she'd sit, enraptured by the dramatic sky, jumping and grasping hands at each bolt of lightning spearing from the black clouds into the roiling sea, like Neptune's tridents. "Do you think we'll get any thunderstorms while we're here?" "This is New England seacoast, so anything's possible." Kiley grasped the handle of her suitcase and climbed up the steep, narrow stairs to the second floor. She breathed in the slightly musty, salt-and-wood smell of a long-closed summerhouse. The scent acted like a door to the memories of other summer arrivals, made tangible by the same awkward weight of the overpacked suitcases, and the familiar sound of her sandals on wood floors. She half tasted the homemade chowder always left for them by the woman who used to open the house when she was a girl. The wash of homesickness weakened her legs with its potency, and sharp tears came to her eyes. "Mom, are you all right?" Will's voice betrayed his surprise at his mother's quiet weeping. "I never realized how much I missed it." Kiley laughed at herself and brushed away the tears. "Oh, I feel so foolish." But was it the foolishness of sentimentality, or the foolishness of having stayed away for so long?